All these publications are available free to genuine enquirers upon request. One day, while in the shower, (that is, from a bucket) in Nairobi, Kenya, the Lord gave me a revelation. I had just seen the amazing new TBN broadcasting auditorium on TV, filled with beautiful people (it seems compulsory for preachers to have glamorous wives, generally much younger than themselves! ), fantastic choirs, singers and setting, all broadcast over 47 satellites. In the shower the Lord showed me a picture of the Pentecostal church. How it started in storefronts and homes, of how rejected these first weird 'pentes' were. But these early pentecostals remained fully committed to the cause, staying close to God, for they were then at the forefront of God's revelation and indeed, presence. Gradually however, Pentecostalism (now with a capital 'P',) has become mainstream. Pastors (and now Bishops) have become elevated beyond a job description or a calling, to positions above the people ' a new priesthood. In the west, new pastors must be seminary trained, and are likely receive a reasonable salary from the beginning of their ministry. No longer is their real sacrifice in being 'called' to ministry. In our services, the emphasis has changed from listening to the Holy Spirit and following His desires, to a concentration on excellence and good order, to the near exclusion of the Holy Spirit leading us. Worship times, unlike the days of the storefront believers, are based on a proven formula of thanksgiving, praise, then worship, followed by (maybe) a prophecy, then the Word and finally ministry ' until we all go home after exactly 2 hours. Next comes an emphasis on building buildings 'for the glory of God', as so grandiosely epitomized by TBN. I have been involved in three different pentecostal churches over the years and have seen this process in practice. All churches that started meeting in homes, then storefronts or halls, before being 'called' to build or buy a church. The church then has to be rebuilt to be bigger, or ancillary buildings added, so that a 'church complex' is created. Often too, we hear the statement, 'God is in the house'. Wow! Fantastic! But is it true? Is God really in these beautiful structures man has created? Or rather, is He in the hearts of the people who inhabit the house? Or again, has He departed altogether, to allow us to 'play church' in the beautiful temples we have built. The process of 'monument building' that started in the fourth century AD with the Roman Catholic Church, and which continued after the Reformation once those churches became mainstream, continues today as Pentecostalism enters the mainstream also. This seems to be the process of a 'maturing church'. The Lord showed me that the people He calls on to impart the next revelation are those with the kingdom within, those dissatisfied with the established status quo, those hungering for more of Him. Those whose emphasis remains on the spiritual, who have not been seduced by the inevitable physical emphasis of the 'maturing' church. Today God is calling out another new generation, as He has in times past. It is a new generation desiring to move forward into the new (but old!) truths of submission and obedience to the Father's will, of servanthood and sacrifice, a simple people with hearts sold out to God, those who will finally fulfil the Great Commission. A Church not of Pastors, Programmes and Property, but of 'kingdom people', who, through their sacrifice, will usher in the return of Jesus. Jesus' guide to living the kingdom lifestyle today. The central focus of the teaching of Jesus, forming the foundation of the kingdom church. The Lord has led me to go back to a sermon/prophecy I received in a group mailing, and filed, some time ago. It is by David Wilkerson. David was the Founding Pastor of Times Square Church in New York City. He was called to New York in 1958 to minister to gang members and drug addicts, as told in the best-selling book, The Cross and the Switchblade. After the introduction, he gave 11 bullet points about THE GLORIOUS FUTURE JUST AHEAD. As the Lord leads, I will expand on these challenging but inspiring aspects. When asking the Lord what He wanted me to write about next, He has led me to look at HIS CHURCH, not in the way of standard church history, but from His viewpoint. I will try my best to be obedient to His wishes. But any errors will be mine! As you will soon see, the history of His church revolves around the Holy Spirit, and the Spirit's activity upon the earth, rather than what we consider the church to be. We look also at the future church, the kingdom church for whom Jesus is returning. I trust it will both inform and challenge you about our future, both as individuals and the church as a whole. The more I grow in Jesus, the more I study history, and the more revelation the Lord gives me, the more I see differences between where we are as 'the church' and where we should be as integral members of 'the kingdom' of God. Surely the two are the same? Yes, they are meant to be. But the reality is that they are not. For over the 2000 odd years since Jesus, the church has become an 'institution', with a life of its own, rather than being an 'instrument' to build God's kingdom. Please don't get me wrong! The church does many good things. It has spread the Good News of Jesus around most of the earth. It is the leading supplier of social services worldwide. It has influenced society and history over the last 2000 years more than any other institution. One third of the world's population is Christian, or nominally so. Considerable milestones have been achieved. We are all products of the societies and cultures in which we are brought up. When it comes to the Bible and Jesus, most of us look through a Western, Greek based mind set, rather than that of the Hebraic society in which Jesus lived and ministered. This has led to major misunderstandings and misinterpretation of Scripture during the past approximately 2 millennia since Jesus. This e-book summarizes these and looks at the spiritual challenges They pose to the church today. A 23 page e-book questioning the effectiveness of, and offering suggestions about, the way we communicate the gospel of Jesus in the church today. My heart's desire is to become more like Jesus. For the past 6 months, the Lord has prompted me to read and reread the 4 Gospels, over and over again, which I have done many times. Now He has prompted me to write out the recorded words Jesus spoke, from His childhood, through His time of ministry, after His resurrection, and finally, through John, after His ascension. Of course, there are many words missing from the Gospel presentation, being those of the respective writers. A brief explanation of the situation immediately follows the subject title. If you are unsure of the writings, look them up. Bible references are given. Where there are words in between those Jesus says, His next saying commences on a new line. Verse numbers have also been removed, as Jesus didn't speak these. Many of the events and stories are recorded in more than 1 place. References have been given for all locations. However, each episode in His life has been included only once, using the most detailed record of the particular conversation. The books the actual words have been taken from are identified by the use of different colours. Finally, in order to follow through the life of Jesus, I have to the best of our current understanding, recorded these words in chronological order. We skip between gospels, for some periods in the life of Jesus are recorded in one place, but not another. Also, Jewish gospel writers, unlike those of our culture, record history on a theme basis, rather than on a time line. Hence some chapters are listed out of numerical order. This publication is also freely available to be used for non-commercial purposes. Acknowledgement of the source as being '.Source: FREE BIBLE VERSION (www.freebibleversion.org) and WALKING WITH JESUS MINISTRIES (wwj.org.nz)'. is required. Well, this is the result. It has been a huge blessing to me and I trust it will be to you also in deepening your WALK WITH JESUS. Not clearly numbered and listed, as in the Old Testament outward Law of the 10 Commandments, they are found among the teachings of Jesus in the 4 Gospels, and are available for all who have a heart to seek them. We all too easily think, with the emphasis that Jesus places on love and forgiveness, that he didn't teach any absolutes. But, as can be seen here, Jesus did place boundaries on believer's behaviour, along with instructions for Godly living. I have grouped these into 3 categories for easier comprehension. Don't take my word for it! Study the Scriptures! Understanding the call of God upon your life and that of the church. A series of revelations on various aspects of Scripture, penned by David Tait. Go to the individual titles below, to download free of charge. Looking at the kingdom of God from past, future and present perspectives. As we go through this study, my desire is that we will all grasp a little of the majesty and wonder of the plan of God to reconcile you and me back to Himself, after the fall of Adam and Eve to the wiles of satan through the serpent, in the garden of Eden. As God is pure and we are not, He can only be approached through a mediator, a priest. This study is about the establishment and development of the priesthood from the earliest of times until today. I trust that we will all grasp the essence and magnificence of God's perfect plan for each one who believes back into relationship with Him. We live in a church system that has evolved over the past, nearly 2000 years. It is obvious that the church had problems of doctrine and organisation right from its formation. 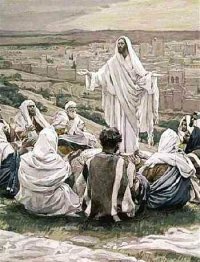 Many people are reluctant to admit to this, but there were difficulties between Jews and gentiles in a theological sense, as well as practical organisational problems in terms of looking after the needy widows. However, over the centuries, church structures developed and became formalised along human lines. While the Reformation saw some changes, both in theology and organisation, the old, unbiblical, structures have tended to replicate themselves within our modern denominations and groupings. The Bible warns of this. Today, in these end times, God is calling His church back to basics. To its relational roots rather than formal structural organisation and methods that restrict, through human intervention, the Holy Spirit from truly working in the way He would wish. Yes, God is calling us today to return to the principles set out in the New Testament, not to create the 'perfect church', for it will still have you and I in it, but rather, one capable of absorbing the promised bountiful end-time harvest. Sandwiched between Moses Tabernacle, representing the church, and Solomon's Temple, representing the Millennial reign of Christ, David's simple tent is a picture of the end time church that will last for but a short time before Jesus returns. Check it out to find out about the people God is seeking for Himself today. In Christianity, we hear an awful lot about what God has done for us, but much less of what He desires from us in return! There is a saying that 'salvation is a free gift, but discipleship costs us everything!' For as Jesus sacrificed His life for us on Calvary's grim hill, so we, in turn, are to model Him, and sacrifice our life for God and for others. In this study we are going to look at the ways in which we are to offer God the sacrifices He so much desires from us - Praise and Worship, Prayer and Fasting and Tithes and Gifts. My God sacrificed His son Jesus, for me! Surely, the first thing I can do for Him is to offer back the sacrifices He desires of me. Is that too much to ask? In theory we would probably agree, but the practice of our lives often tends to fall short of our good intentions! I trust that this study will encourage you, as it has me, to give back to God what He desires of each one of us. The first modern revelation of the importance of Moses Tabernacle as being the pattern of a godly walk, and one of church development and life, came out of the Latter Rain Movement, after World War 2. In more recent times the teaching has been neglected, but it is still applicable today. And the Lord is today, giving even more revelation about it, as we move still closer to the end of the age. Yes, an understanding of Moses Tabernacle is vital for every Christian with a heart to know God and His plans in a deeper way. I pray that you will find it as illuminating, challenging, yet encouraging, as I have in my life. Having spent much of my life involved in the gardening industry, as a grower, wholesaler of flowers, bulbs and plants and finally as a mail order seller of the same, this revelation has reached into my 'gardeners' heart! Gardens and nature have a special place in God's heart too. This is not surprising, for He was their creator! Nor is it surprising then, that He should choose garden settings for key events in His interaction with man to take place. The incredible story of how the Lamb of God is foreshadowed 4 times in the Old Testament, comes as the Lamb in the New, sets our example and will return to claim His kingdom. Both a faith builder and a call to inherit the kingdom now. An excellent tool to help better understand Bible history and God's plan for mankind throughout the ages. Kingdom ages, that is! And to get a glimpse of the kingdom yet to come and how we can participate in it. How to 'walk with Jesus.' The verse upon which this ministry is based. The first revelation received by David Tait, introducing him to ministry. In walking further with Jesus, I increasingly appreciate that this particular revelation of 'threes in God' has been hugely important in developing my understanding of God and how He works both in the church and in our lives. It matters not whether you are a 'oneness', 'twoness', or 'trinitarian' believer. The concept still applies. For we're all very good at putting God in a box, limited to the walls of our theology and understanding. But, one day, we will know all the truth of the great mystery of God. In the meantime, if you can grasp this simple, yet profound concept, I'm sure it will open up new realms of understanding for you too about God and His plans for His people in these end days. It certainly developed my faith tremendously, being able to grasp more of God's mighty plan for me. And for you too! And how they mirrored aspects of the life of Jesus up to 2050 years before He was born. Our God is amazing! A revelation based upon the 3 times the waters were divided in the Bible (The Red Sea with Moses, The River Jordan with Joshua and The River Jordan again with Elijah and Elisha.) and their meanings for the restoration of God's church in these end times. The principle of the 'river' in scripture and how it applies to our lives and the church today. A Christian is called to walk towards holiness. While not pretending to give you the complete answer, the 5 examples included here should help you in your understanding of what true holiness is about. And if you so desire, in its application to your life too! Understanding God takes more than a lifetime! Through into eternity. Even then, I suspect he may come up with a surprise or two! But this simple revelation may help you understand Him better, as it has helped me. A timely reminder of what our calling as 'Jesus Followers' and particularly as leaders is really all about. Essential reading, especially for anyone involved, or wanting to become involved, in Christian leadership. You might well change your mind! I have never been happy with the explanations I have heard of the meaning of the changing of the water into wine. So I asked Jesus! And He told me! Find out what He said through the Holy Spirit. Find out the meaning for today of this famous parable, as it applies to Christians. NOTE: Takes a little longer to download as it contains pictures. But its worth the wait! A series of booklets extracted from David Tait's book on the end time church. Go to the individual titles below for your free downloads. A poetic version of my spiritual journey. An allegory about 2 marathoners in the race of life. Hopefully this will entertain and challenge you about your walk with Jesus, as it has done me. Taken from the Walking With Jesus Course. A brief look at the amazing way both God and HIS Church are patterned in three's. An insight to the past present and future.
' To him who overcomes' An exciting illumination of the promise made to those who are prepared to give their 'all' to Christ. A unique look at what may have been like to visit the Tabernacle of of Moses. How the pattern of the first Church, The Tabernacle of Moses, has applied to the Church through the ages and predicts the Church to come. A summary of one man's vision for God's final 'Tabernacle' (Apostolic) church, preparing to become the 'bride' that Jesus is returning for. The vision is soundly based upon the scriptures (not included here ' found in Book Too of 'Eagles Fly High!' ' 'The First & Last Word') illuminating the pattern of the 'Feasts of The Lord' in both the Old and New Testaments. Drawn from the trilogy 'Eagles Fly High! ', this picture of the final church is presented through prophecy, allegory, poetry, and scripturally based vision. Definitely a tasty morsel for the hungry in God. For those seeking to discover more about God's plans for their lives and the church as a whole. Find out all about the 'Taberneagle Army' that God is starting to raise up at this critical time in our history. A 72 page read to both inform and inspire you to make Jesus the Lord of your life. Wall posters of A4 size to help you focus on the essentials of your walk with Jesus. Feel free to download these now from the individual titles below. Quoting 1 John 2:1-6, six of the most thought provoking and important verses in scripture for walking with Jesus today. A4 size. A poster of thoughts about living life in Tabernacles. Out of a human mind but hopefully with God given inspiration. An A4 sized wall ('loo?') hanger. A4 size. Materials taken from the website and compiled into book form. Downlead your free e-books today from the individual titles below. AS THESE PUBLICATIONS ARE UP TO 230 PAGES, PLEASE BE PATIENT AND ALLOW THEM TIME TO DOWNLOAD. IT WILL BE WORTH THE WAIT! to temporarily titillate tetchy, talented tadpoles, timidly traipsing throughout terrifying tearful turmoil, then thankfully turning towards tangible transformation.